Supersize your fun with the NEW Commercial Jump'n Dodgeball Game! Now you can SuperSize your Jump'n Dodgeball Game Commercial Bounce House. This unit is made of Heavy Duty PVC Tarpulin Material to hold up to Commercial Use. Dimensions 28ft long x 11.5 ft wide x 10 ft tall Shipping weight 250lbs. maximum 600lb weight limit for up to 6 players at 100lbs each Includes Blower Carry Bag 10 Neoprene soft Dodgeballs One Year Warranty Price includes FREE Shipping within the Continental US. Orders shipping to Canada will be charged and additional $75.00 for shipping. 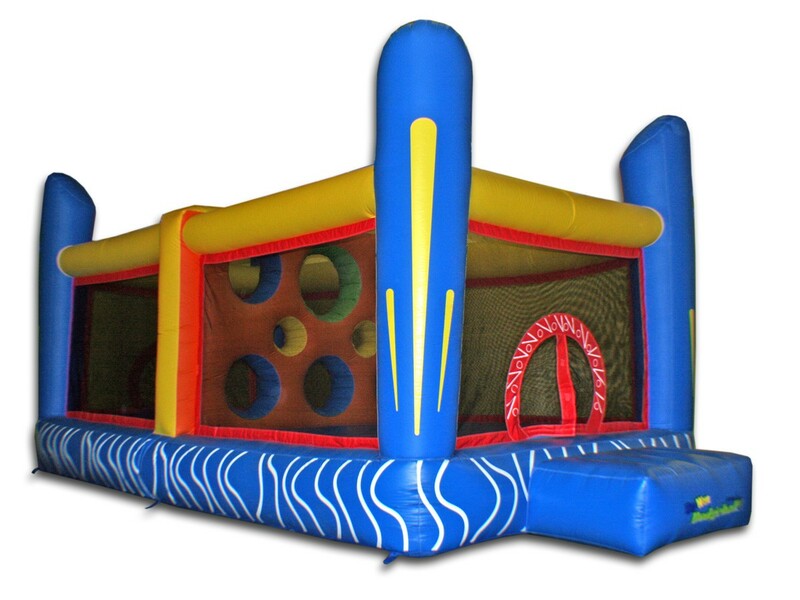 This Commercial Grade Bounce Castle is perfect for your Church, School, Rental Business or Home!